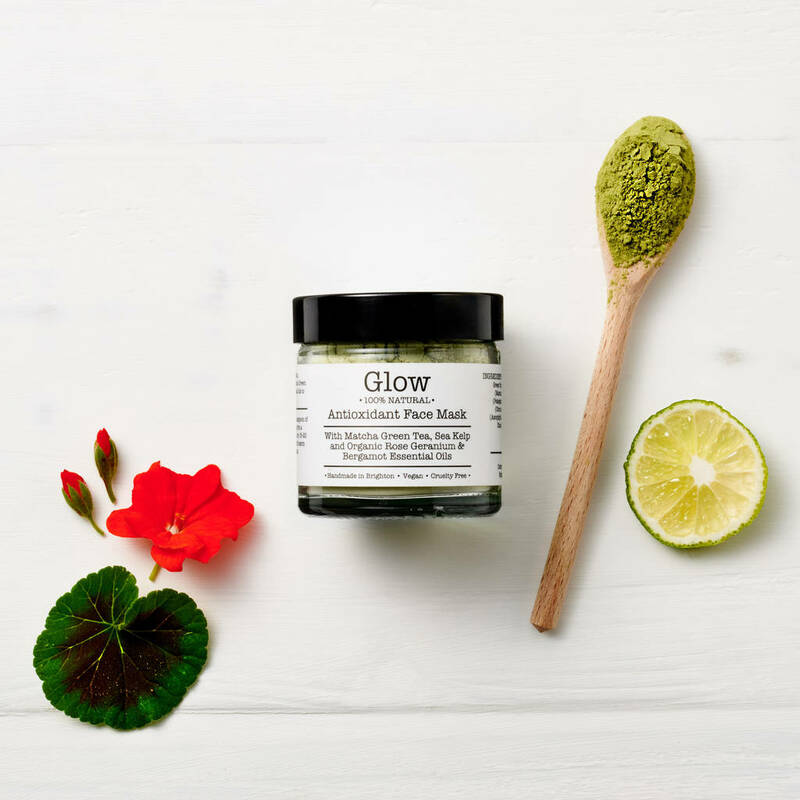 Glow is a 100% natural mineral face mask designed to brighten and revive the skin. 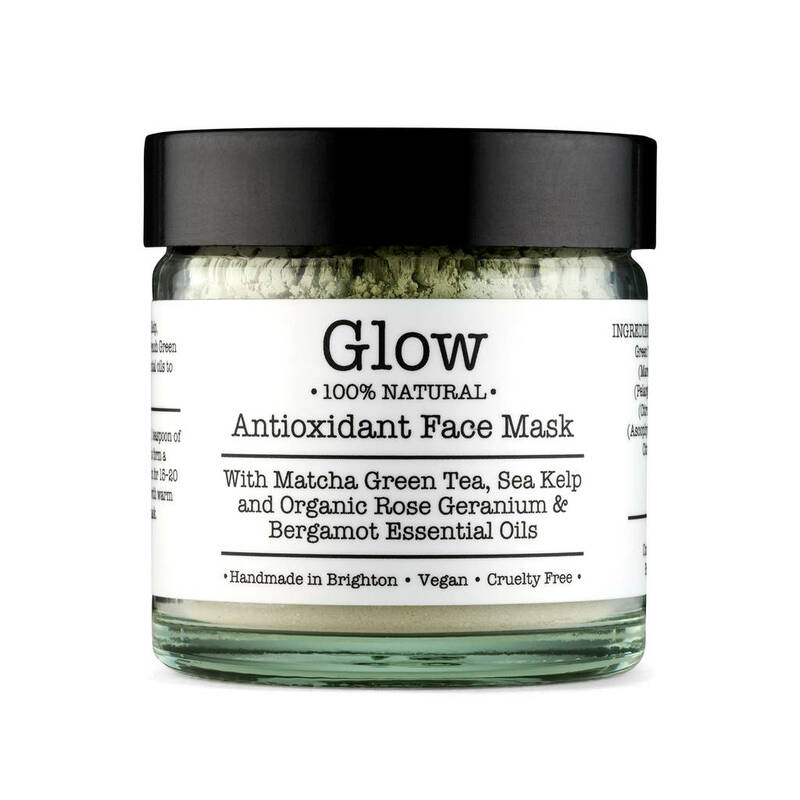 Formulated with antioxidant rich Matcha Green Tea and Sea Kelp to help fight free radicals whilst mineral rich French Green Clay gently detoxifys and claryifys the skin. 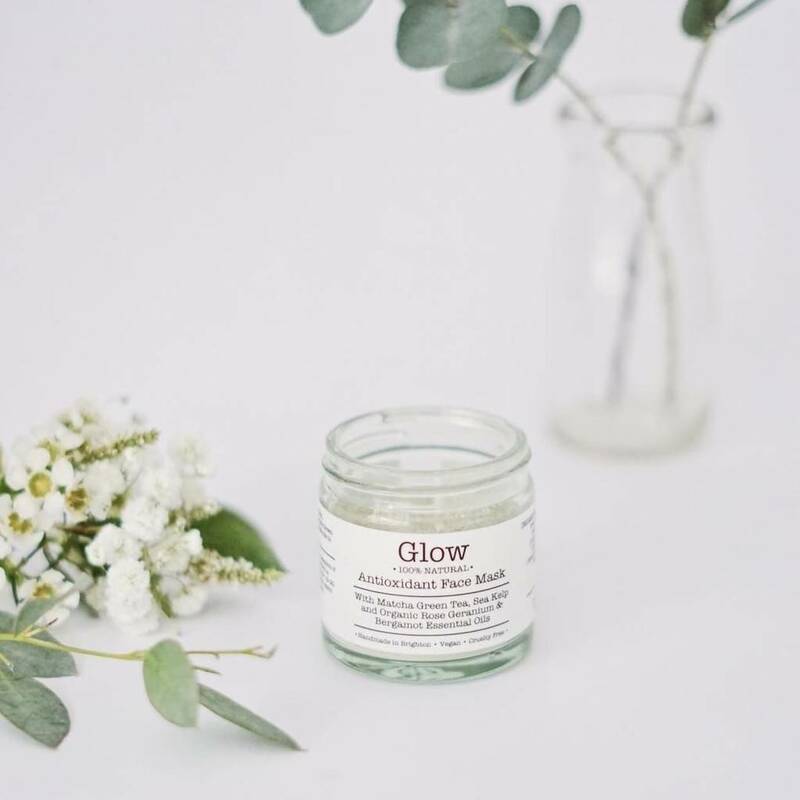 Organic Rose Geranium and Bergamot essential oils help to balance both dry and oily skin types. Ideal for combination and dull skin. 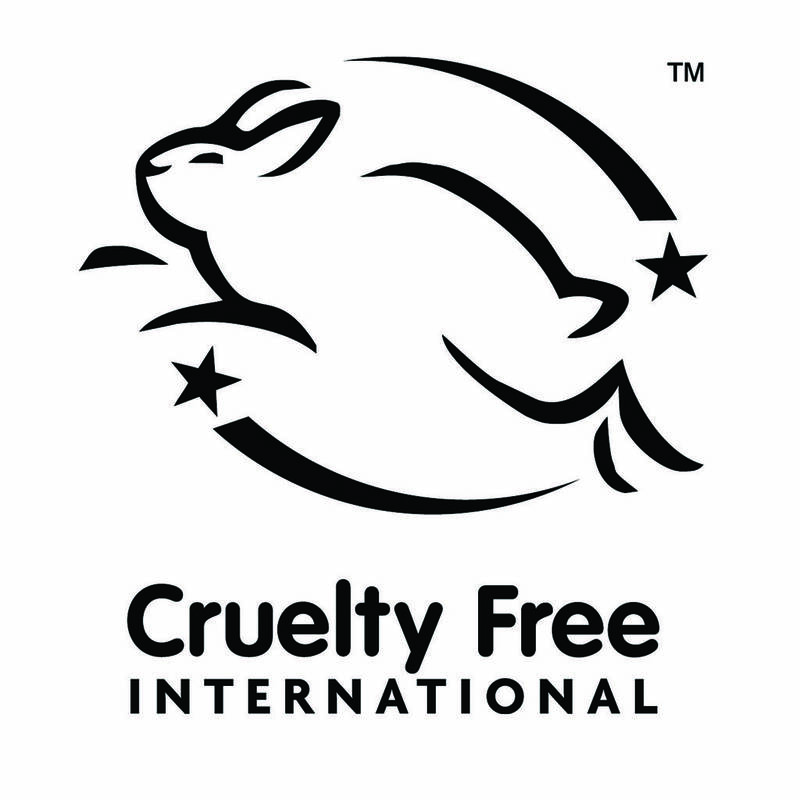 FREE FROM: sls, parabens, mineral oil, synthetic fragrance & colour. Combine approximately 1 teaspoon of powder with 1 teaspoon of water and mix to form a thick paste. 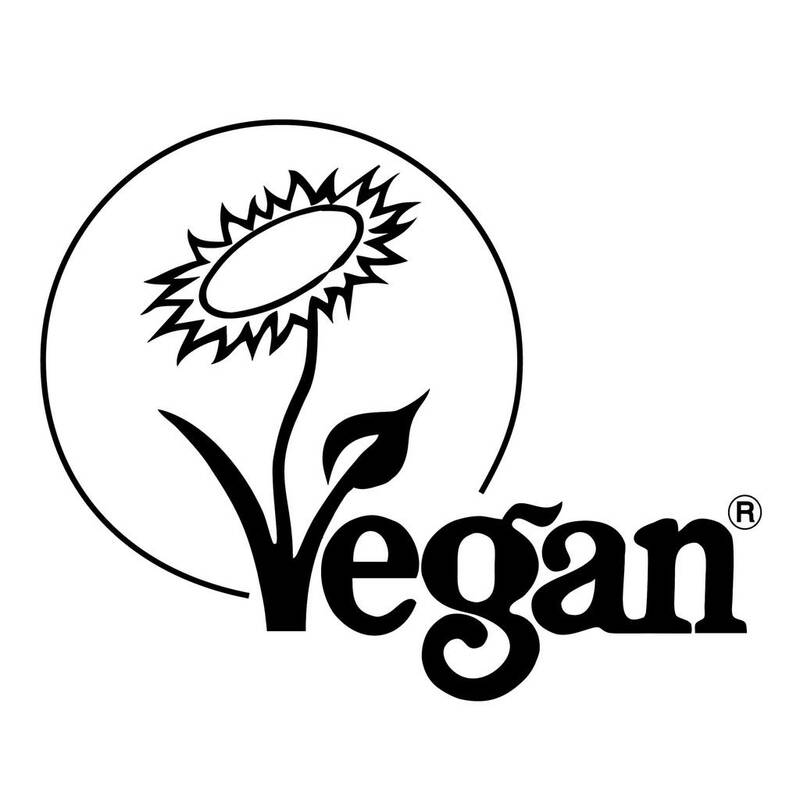 Apply to clean skinand leave on for 15-20 minutes, or until the mask is dry. Wash off with warm water. For best results use 2-3 times a week. Slight tingling is normal with this mask. 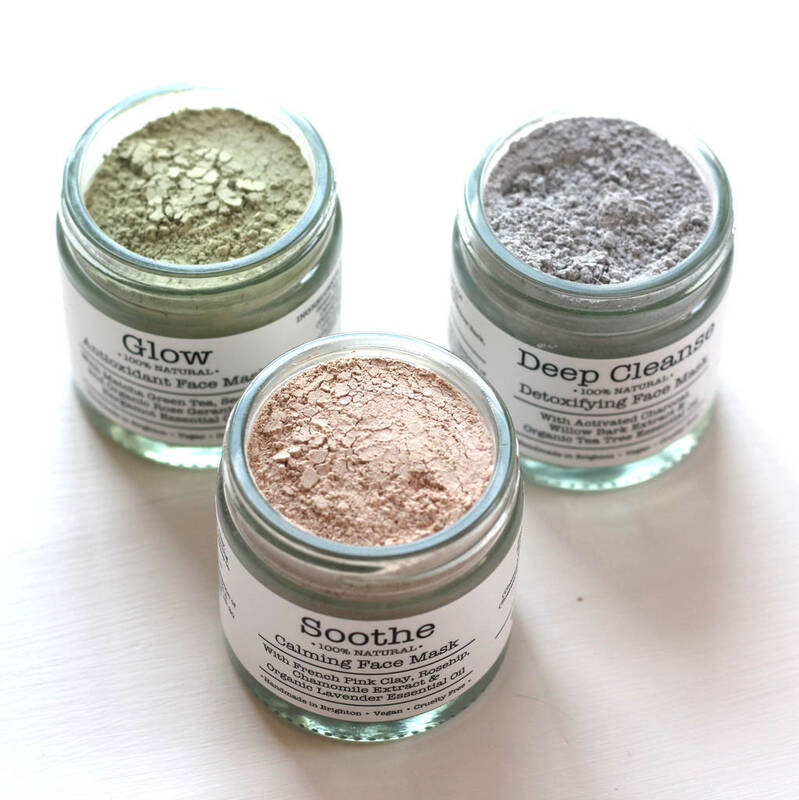 French Green Clay, Kaolin Clay, Matcha Green Tea (Camellia sinensis) Powder, Arrowroot (Maranta Arundinacea) Powder*, Rose Geranium (Pelargonium Graveolens) essential oil*, Bergamot (Citrus Aurantium Bergamia) essential oil*, Kelp (Ascophyllum Nodosum) Powder.